An Indore-based firm, Kaamdhenu Machine Tools Pvt. Ltd. (KMTPL) stands amidst the well-reckoned Manufacturers and Suppliers of precision-engineered Machine Tools. 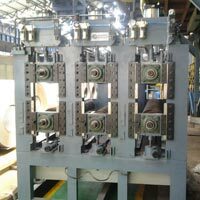 Our wide array of Machine Tools includes Coil Slitting Machine, Hydraulic Coil Car, Pipe End Bevelling Machine, Pipe Hydro Testing Machine, Roll Forming Mill, Squeeze Roll Assembly, Pipe and Tube Straightening Machine, Pinch Roll Leveller, Pipe Forming Machine and ERW Tube Mill. Engineering Design & understanding of customer’s need are the key strength of our organization. 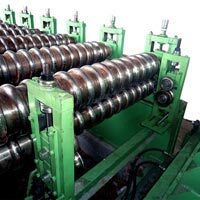 KMTPL has an in house designing and machining facility capable of catering to various kinds of tailor made engineering solutions for any kind of Industry. 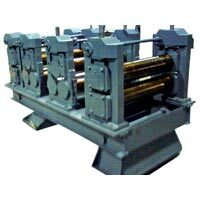 However, the company specializes in manufacturing of Low budget ERW mills and equipment’s for pipe manufacturing companies. 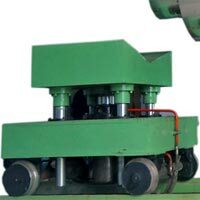 Apart from the list of equipment and supplies, KMTPL has to its credit the designs of HSAW (Spiral) welding booms, induction bending machines, pipe internal cleaning equipment, outside welding stands (LSAW) and a host of other efficient and highly functional conveying/ material handling equipment. Kaamdhenu Machine Tools Pvt. Ltd.
ll Rights Reserved. 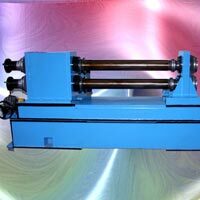 Kaamdhenu Machine Tools Pvt. Ltd.